In demonstration at AUSPACK, the Genesis Futura completes the range of Genesis high-speed pallet-wrapping systems from Robotic Automation , satisfying output requirements of up to 130 pallets per hour. This robust model offers the benefits of rotating ring technology at an even more competitive price from a world’s large producer of automatic and semi-automatic stretch wrapping systems, Robopac (over 40,000 systems installed). Options for automatic roll-change and top-sheeting also on display. Also in demonstration, winner of the 2006 Leonardo Da Vinci Innovation Award, the MOTOMAN IA-20 handling robot offers superhuman flexibility of movement in a tight installation and work spaces. 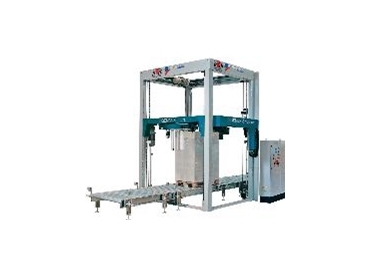 An easy fit to existing production line and ideal for a variety of packaging and assembly applications.